Demonstrating its commitment to continuously update the award-winning ELAN g! 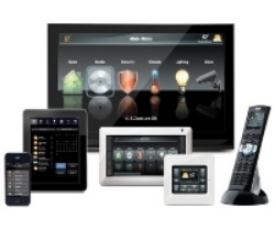 Entertainment and Control System, ELAN Home Systems today announced the release of its ELAN g! 6.5 Software Update, which adds highly desired features such as the ability to hide the volume up/down/mute button for distinct audio zones or interfaces, a ‘hide all zones’ button, a driver for Autonomics high fidelity streaming services, and additional drivers that support the latest AV components, international lighting systems and surveillance cameras. According to ELAN Home Systems Brand Manager Robert Ridenour, the support of several new component families makes ELAN g! more powerful than ever and expands dealers’ options even further. For systems that include ELAN Lighting by Pulseworx, ELAN g! now allows the homeowner to set and adjust their lighting scenes for not only g! executed scenes, but also for all wall keypad executed scenes. In the past a dealer could set up a “virtual” custom scene on an ELAN interface and the homeowner could make and save adjustments. However, if a similar scene was also executed by a wall mounted keypad (a “physical” scene) the two scenes would be different. ELAN g!6.5 ties the physical scene together with the virtual scene so that changes made by the customer to the virtual scene are programmed into the physical keypads as well. This is a first for a control company and provides greater flexibility to ELAN g! systems that utilize ELAN Lighting by Pulseworx. The g! system now supports integration with an even larger pool of third party devices, including new Autonomics streaming audio servers, IC Realtime DVRs, SnapAV 300 Series DVRs and NVRs, iLight lighting systems, and the following AV receivers: Yamaha RX-A3030, 2030, 1030, 830 & 730; Denon AVR-X4000, 3000, 2000 & 1000; Marantz SR-7008, 6008 & 5008; Integra DT-R60.5, 50.5 & 40.5; Onkyo TX-NR929, 828, 727, 626 & 525; Pioneer Elite SC-79, 77, 55, 72 & 71. All AV receiver drivers have been updated to include support for international versions, if available. The newly supported Autonomics streaming servers include the MMS-5 and MMS-5A, which deliver the most popular high fidelity streaming music sources including Pandora, Spotify, Rhapsody, Tune-In Radio, Sirius|XM and more. The ELAN g! system now allows dealers to create event map triggers for when the OSD is activated/deactivated or when AirPlay is activated/deactivated, helping to create an even more immersive and effortless home control experience for users.